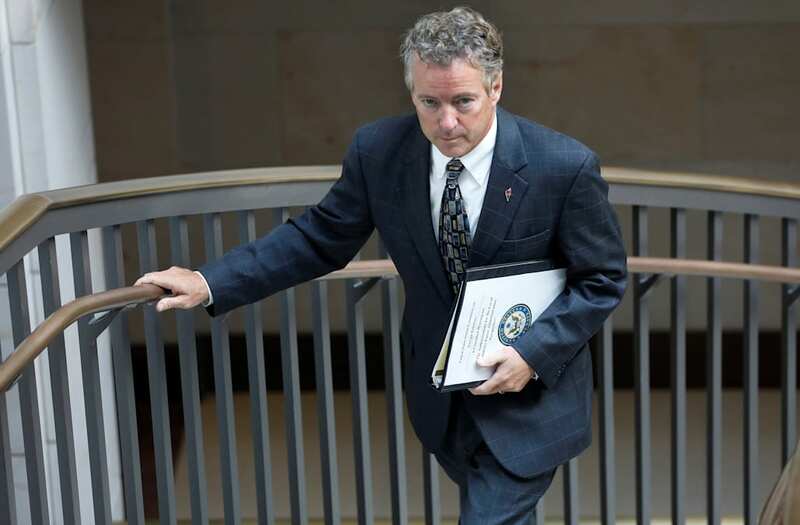 Sen. Rand Paul’s recovery from a mysterious attack by his estranged neighbor was “living hell,” he said Sunday. The appearance was Paul’s first time on a Sunday morning show since the Nov. 3 altercation, which left the then-54-year-old with six broken ribs. Paul added he couldn't get out of bed by himself, and his damaged lungs endured pneumonia twice. But he refused to get into why neighbor Rene Boucher tackled him near the line between their Bowling Green, Ky., homes three months ago. Paul was reportedly doing yard work, with his ears protected, when Boucher knocked him down from behind. “I just don’t think of any kind of motivation or justification, whether it’s political or personal, to attack someone who’s unaware from behind in their own yard,” he said. Whether the altercation was actually for political reasons has remained unclear. Paul, speaking with the Washington Examiner a few days after the November attack, said he and Boucher hadn’t spoken in roughly 10 years. Boucher’s lawyer also told CBS News around that time he and Paul were feuding over something “trivial,” but not about politics. Boucher pleaded not guilty to an assault charge. Paul, speaking Sunday on “Face the Nation,” said the attack has made him concerned about potential political attacks. “My colleagues come up all the time, and they want to make sure that there is some kind of deterrent because people don't want to think that it's open season on our elected officials,” he said. Part of his concern was the June attack on GOP lawmakers and staffers at a baseball practice, which left House Majority Whip Steve Scalise severely wounded. “I’ve been involved in violent attacks twice in the last year,” said Paul, who was at the practice.